Can the parents agree on the activity for the children to participate in? How many activities is enough or too much? Is the other parent going to cooperate in paying for the activity, materials or equipment required? Is the other parent going to cooperate in taking the children to the extracurricular activity, including but not limited to: special events like recitals, tournaments, etc. that could require travel? The cost and involvement related to extracurricular activities varies greatly. If your children are playing recreational T-Ball with your town, say in Wake Forest, NC, the cost could be very minimal compared to your children participating in travel baseball leagues. Dance and music lessons require significant cost as far as tuition, instruments, shoes and costumes, etc. Who will be paying for the $200 dance costume? That is the question. The other concern from the custody perspective would be is the activity interfering with the other party’s custodial time with the children? For example, daughter wants to take dance lessons and Mom immediately signs her up without talking to Dad. Dad has every other weekend custodial time and Wednesday night dinners. Mom finds out daughter’s dance lessons are on Wednesdays and Fridays from 4:30 to 5:30 PM. Now, what little time Dad has with Daughter is partly being spent at dance. Dad may be supportive of this new endeavor, but what if he is not? What if he refuses to pay for half of that dance costume? What if he refuses to take her? 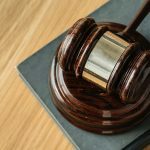 When you enter into any Agreement or Consent Order, it is important to be specific about these details. 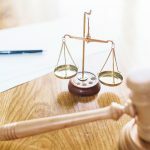 If you have a hearing on these issues, offer evidence as to these activities your children participate in, the cost, how involved your children are in the activity and ask the judge to specifically address these issues. will they be split equally or in proportion to the parties’ income? If travel is required, does this cost get split as well? If you have a concern that one parent may “over enroll” the children in extracurricular activities, you may want to limit the number of activities per year or semester unless the parties agree otherwise, as an example. Or you may limit extracurricular activity expenses by having a cost cap, such as each parent will contribute $1,000 per year for the minor children’s extracurricular activities. Any extracurricular activities that incur costs beyond this amount in a year will be the responsibility of the parent enrolling the child in said activity, could be an example of such language. When discussing extracurricular activities and custodial time, you have to think about the children’s best interest as well as the custodial schedule. In the example above regarding Dad and daughter at dancing on Wednesday and Fridays, what if Dad is mad that the recital is on his Friday night and he refuses to take her? It is his custodial time, and if the parties’ agreement or order do not have language regarding the minor children attending extracurricular activities, there is little the other parent can do, unfortunately. It can be an unfortunate scenario, especially for the disappointed daughter. Some language that may be included is that each parent will cooperate to ensure the minor children participate in their extracurricular activities and that the children attend special events related to these extracurricular activities regardless of the custodial schedule. 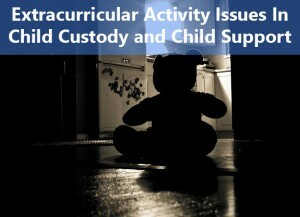 If you have the issue, again, of over-enrolling children in extracurricular activities, you may say that the parties must agree on enrolling the minor children in an extracurricular activity if the activity is held during the other parents’ custodial time. This would prevent Mom from enrolling daughter in dance lessons that impinge on Dad’s custodial time from the beginning. Mom would have had to have found a dance studio offering lessons on her days of custodial time for daughter. There are many other issues to consider, as well as alternatives for handling the issues briefly discussed above. If you have any questions or concerns regarding this subject matter, our Raleigh family law attorneys would be happy to speak with you at an initial consultation and answer any questions you may have.